Beautiful and nicely maintained Craftsman home! 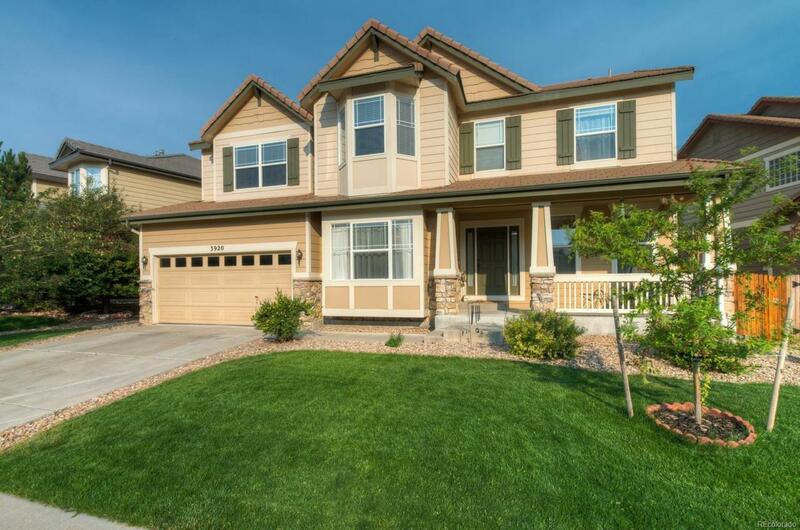 Close to highly rated Cherry Creek schools, shopping, E-470 and public transportation. With 5 spacious bedrooms and 4 baths, everyone can have their own space. Formal living and dining rooms to entertain and for the chef in your family, a large kitchen with an island and cabinets galore! Inviting family room w/ fireplace and vaulted ceilings, a study/office or maybe a 6th bedroom with double french doors and half bath complete the main level. A finished basement allows room to spread out with a bedroom, large bath/walk-in closet, flex or game room, storage and bright windows. The backyard with sprinkler system and covered patio beckons the whole family, including four legged ones, to enjoy the outdoors in comfort knowing the yard is completely fenced! Don't miss the rare, exterior entrance door to the garage! Come visit this home and be amazed by all the space for your family while living in this coveted community!